Kina är en spännande plats. Man kan aldrig vara helt säker på hur det ska gå. Vad som i höstas verkade vara, om inte ett totalt förbud för bitcoin, så reglering som kraftigt försvårade för användarna verkar nu ha luckrats upp något. SHANGHAI – Bobby Lee, CEO of the Bitcoin exchange BTC China, has announced that customers are once again able to purchase Bitcoin by depositing RMB directly into the company’s corporate bank account. The decision by BTC China comes after the exchange stopped accepting RMB deposits in response to a Dec. 5 memo from the People’s Bank of China warning national financial institutions not to trade in Bitcoin. Created in 2009, Bitcoins are a peer-to-peer virtual form of currency able to be bought or sold on online exchanges. While the value of a single Bitcoin is very volatile, the total value of Bitcoins worldwide is currently estimated at between US$7.5 and US$10 billion. The December 5, 2013 memo from the People’s Bank of China (PBC) instructed national institutions not to participate in the Bitcoin trade, and named the end of the Lunar Year (January 31, 2014) as the deadline by which Chinese banks and payment processors were required to cease all dealings in the virtual currency. The memo from the PBC and five other ministries warned against using a currency not issued by the central monetary authority in order to protect the property rights and interests of the public, protect the legal status of the RMB, prevent money laundering and maintain financial stability. The official memo from the People’s Bank of China can be found here. Further clarification of the memo during the subsequent PBC press conference can be found here. After studying the central bank’s memo and other rules concerning BTC’s activities, BTC China made the decision to resume RMB-based purchases on Thursday – the day before the PBC’s January 31 deadline. “We are definitely in compliance with the Dec. 5 memo, but the government and the government agencies can change the rules anytime in the future. So, we are going to take a wait-and-see approach,” Lee told the Wall Street Journal on Friday. “Previously, we judged doing this as not being viable; however, we have since changed our stance. We looked again at the guidance issued in December and we think it’s reasonable for us to accept customer deposits via our corporate bank account. The fact that the PBC said exchanges need to register with the MIIT [Ministry of Industry and Information Technology] essentially means it recognizes exchanges as a business category and BTC China as a legitimate business,” Lee continued. According to Lee, the timing of the decision was strategically planned to coincide with the beginning of the Chinese New Year so as to avoid drawing too much attention. “It is going to be slow in terms of trading value, so we just wanted to make sure the system is running smoothly, that there is not too much pressure and that it doesn’t pick up too much attention,” Lee said. Despite BTC China’s hope for a quiet re-launch, the international price of Bitcoin began to rise as early as late Thursday as news of the move reached U.S. traders, and Chinese traders began to make their way back to the BCT China exchange. After resuming RMB-based deposits, BTC China also launched a new Maker-Taker program by rewarding multiple buy/sell offers that increased liquidity (‘makers’) with a monetary reward of RMB1000 while charging those taking offers and removing market liquidity (‘takers’) a fee of 0.3 percent. This offer will last until February 15th, and is good until a user accrues RMB100,000 in rewards. In China, Bitcoin has become increasingly popular due to its ability to allow citizens on the mainland to circumvent government regulations on the movement of capital across national borders, and many believe that this attraction initially drove the rapid climb in Bitcoin value. Despite BTC China’s return to the Bitcoin market, it appears Taobao and third-party payment platforms Alipay, Tenpay and Yeepay will continue to abstain from Bitcoin transactions in response to the PBC’s memo. Despite mainland China’s uneasy relationship with the virtual currency, the Hong Kong Special Administrative Region is set to receive the world’s second Bitcoin ATM from Robocoin this month. 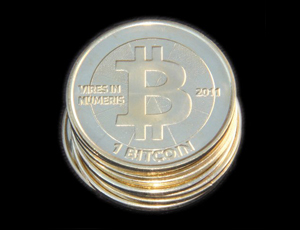 februari 11, 2014 i Bitcoin nytt.